Miami Dade that is. 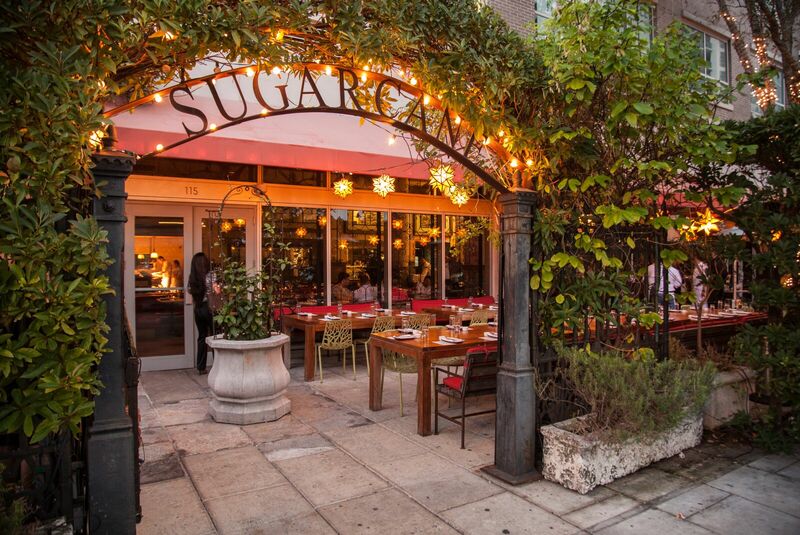 Through April 15, celebrate the city of Miami at Sugarcane’s Midtown location with dishes like Pork Belly Bao and Yellowtail Hamachi Crudo. What to expect: Palm leaf ceiling fans and lush vegetation bring the old Cuban vibes into this restaurant. Their al fresco dining accommodates larger groups. And their happy hour will make you once again forget that you’re out late on a Tuesday night. The Menu: Since we’re talking “Made in Dade,” let’s stick to what you’ll find on this limited-time menu. In true Sugarcane fashion, the menu is divided into three sections. As their mantra states: Kickback. Eat well. Stay awhile. Find the lighter dishes on top and move down the menu to the larger plates. Favorites include the Grilled Cauliflower Bagna Cauda and Squid Ink Fideos. What to order: A little bit of this. A little bit of that. If you’re here to try to “Made in Dade” menu (through April 15), then sit back and order exactly what we tell you. 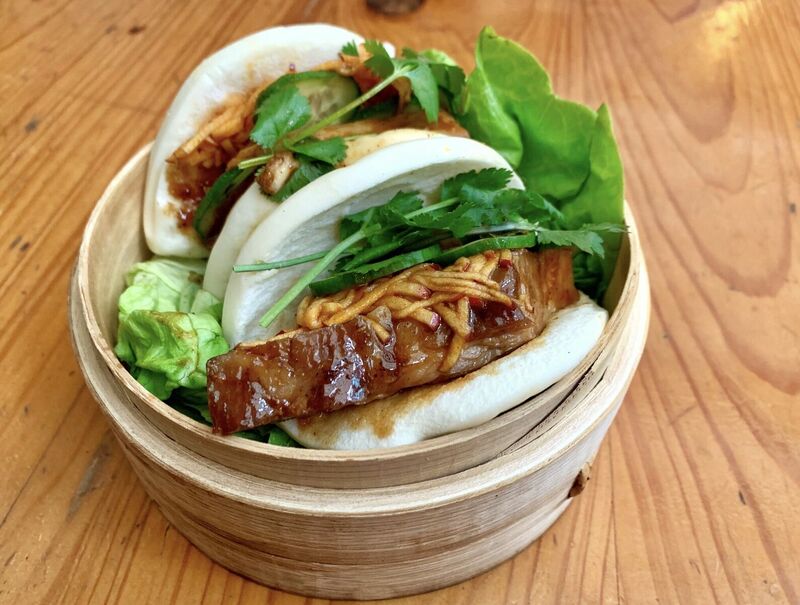 Pork Belly Bao: Get these while they last. Your dining companion may just sneak these right from underneath you. The apple kimchi and cucumber nestle around the pork belly and come two buns per order. 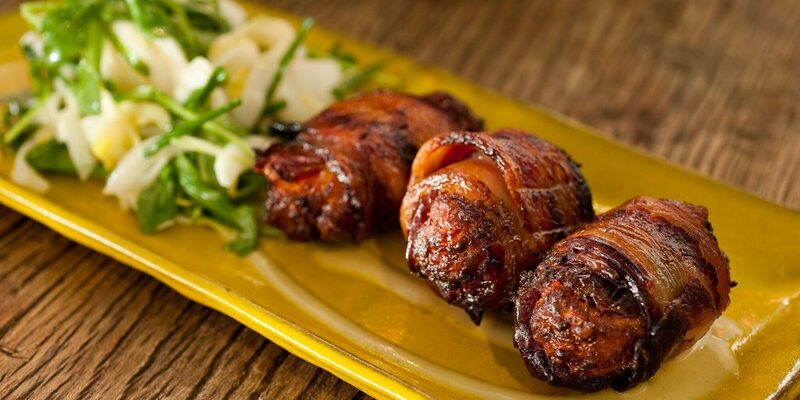 Duck & Waffle: We know your grandma makes a mean fricase, but it’s got nothing on this crispy leg confit. 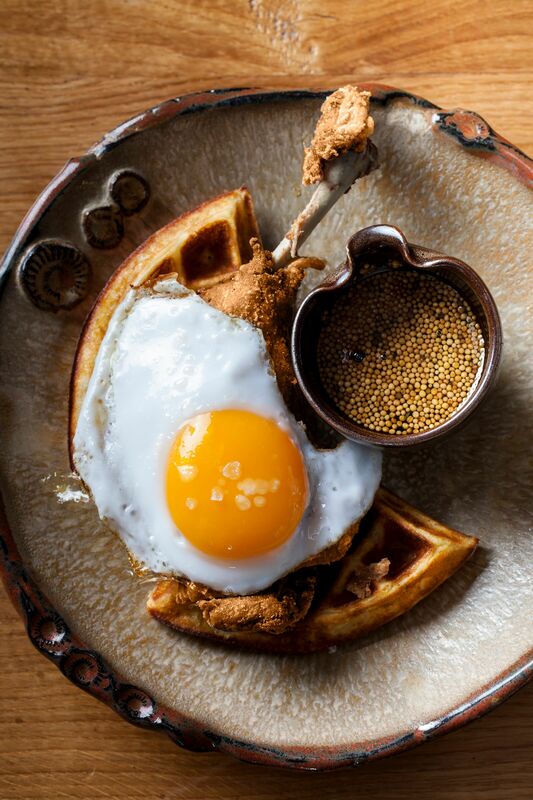 A fluffy waffle lays under the duck that’s then topped by a duck egg sunny side up. Drizzle the mustard maple over it (after getting your huevo explotao shot) and call it a night. How to score a table: Find a table using Open Table linked on their site.